After too many complications to count preventing me from seeing X-Men: Days of Future Past, I finally got to see it and oh my, it was most definitely worth the wait. If you are not aware, I am a big X-Men fan. The first X-Men movie back in 2000 was the first comic book film I watched in theaters and I have been a comic book and X-Men fan ever since. Ever since hearing that Days of Future Past was going to be adapted into a film, my expectations were high, almost on par with my expectations for The Avengers, and the old Days of Future Past story is my favorite Silver-Age comic book storyline from any franchise. In addition to all that, time-travel stories are my favorite, so it is safe to say that I was beyond excited. While my full review for the film will be coming tomorrow, let me say that you should go see it in theaters if you have the opportunity. However, be sure that you remember what haloppened in the previous X-Men films because that is important. As for my moviegoing experience, it actually was better than usual. Even though there were more people in the theater than I have seen in a long time, thankfully there were no children! And, aside from some popcorn munching, everyone was relatively quiet! I was able to lose myself in the film's captivating story; it was great! Later this week, I will also be reviewing the recently released Chris Evans film Snowpiercer, so be sure to look for that on Wednesday. 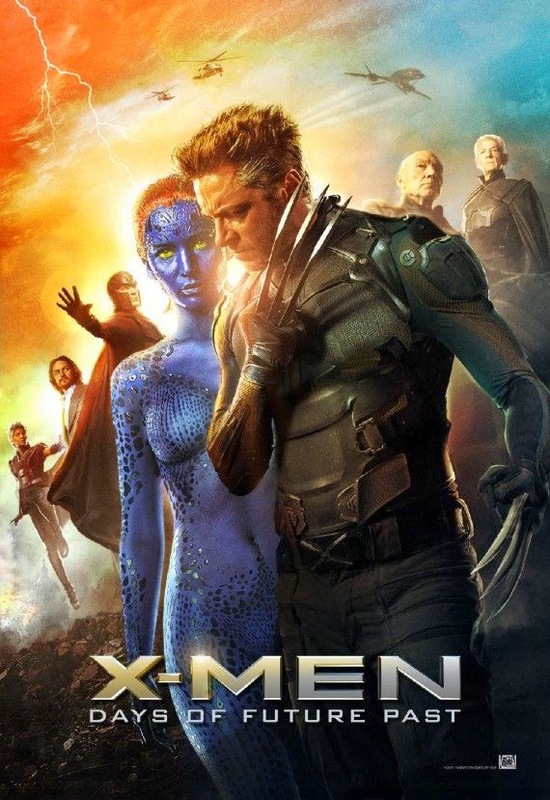 While you wait for my review of X-Men: Days of Future Past, you can check out these other great reviews, and if you decide to comment, please let them know that James sent you (that sounded kind of cheesy, haha). If you have a review, please let me know in the comments so I can check it out. Hopefully I can post comments on y'all's reviews soon.